This document is written with the hope to be easy to follow and use. However, it may raise questions you’re unsure of, or ask you to do things you’d prefer help with. If at any time you have any questions or suggestions about how this document can be made easier to follow or more relevant, please contact our Support Team and give us feedback. What is presented here is a simple setup flow. It doesn’t represent the only things that can be done with Memberium, or even the only “right” way to do things, just a common standard setup. 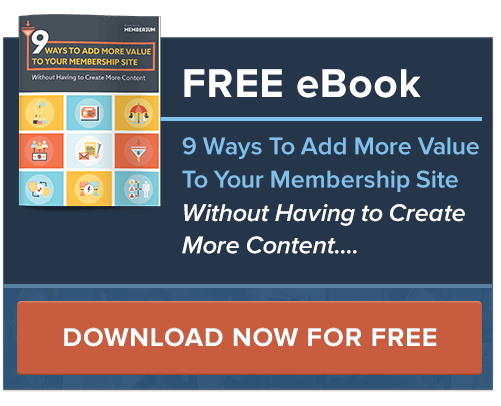 The freedom you have to create is boundless.We also have a series of videos located here that cover most of the same topics as this guide. This instruction guide is presented as a single long page for your convenience so that you can scroll through it or print it out for your reference. During installation the plugin will automatically scan your system and let you know if you are missing any of the requirements. If any of the requirements are missing, they will be specifically listed, and the plugin will not fully activate. If you are missing some or all of the requirements, you can either ask your web host to update/install the missing pieces, or if your web host is not cooperative, you may want to look at moving to a web host with better service. The requirements to run M4AC are the same as for our Infusionsoft product; and we maintain a list of web hosts we have experience with. Just because your web host is not on this list doesn’t mean it won’t work, it just means that we’ve not experienced them yet. Click here to download the plugin install zip file from our server. Note that you cannot download the install file to your mobile device. You will need to use a desktop or laptop to download the file, and then upload it to your WordPress site. Install the plugin normally into your WordPress, and activate it. Once you activate the plugin, it will take you directly to the screen where you will input the ActiveCampaign API settings. 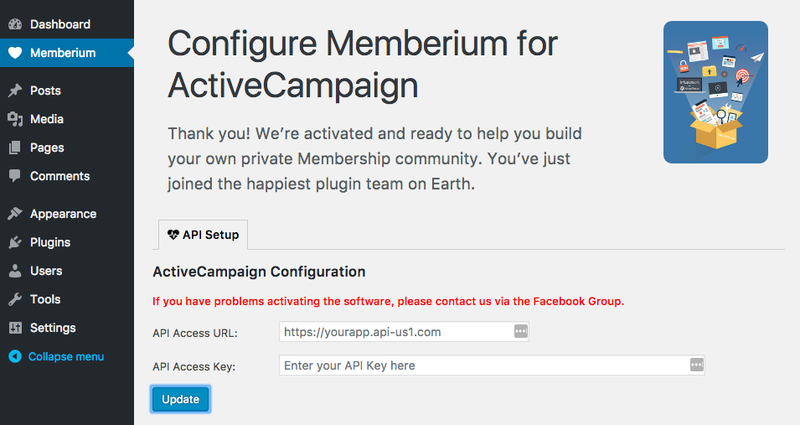 If you’ve already installed other ActiveCampaign plugins, Memberium will try to automatically detect your API information and fill these out automatically for you. You can simply click the submit button to proceed. Copy your API URL, and your API Key from this screen into your Memberium configuration. If the API is not verified, then please check your inputs for typos or other mistakes. The information must be input exactly in order to be successful. Once this is successfully done, you will see the words “API Status: Verified” appear. You are now ready to begin setting up your site.